Gee, they make the Quantum Code sound so good. If I didn’t know better I would probably give the program a try. The thing is, I do know better. If you watched the Quantum Code video, you may be interested in giving it a try. I think that would be a terrible idea. Because I am positive that the Quantum Code is a scam. Are you interested in learning why I think that? Read on for my review of the Quantum Code. The Quantum Code is a binary options signal software. If you are unfamiliar with binary options signals, they are alerts provided to binary traders to help them decide which way a particular stock will go. Up or down. The problem with binary options are that they are prone to fraud, and due to the risk involved, is considered a form of gambling. The Quantum Code software is another one of these programs that lets traders know which direction a stock is going to go. In the video, they claim the the software is 100% accurate. This is just a flat out lie. No binary signal software is 100% right. There is always considerable risk involved. What makes the Quantum Code a scam? The Quantum Code is a scam because they lead people to believe that they can become millionaires over night with the program. Guaranteed. It’s all lies! Did you know that the Quantum Code goes by another name? It’s called the Orion Code. If you watch the Orion promo video, you will notice something funny. The video is identical to the Quantum Code video. Word for word everything is the same. The only difference is the guy in the video. I wasn’t kidding when I said they were identical. 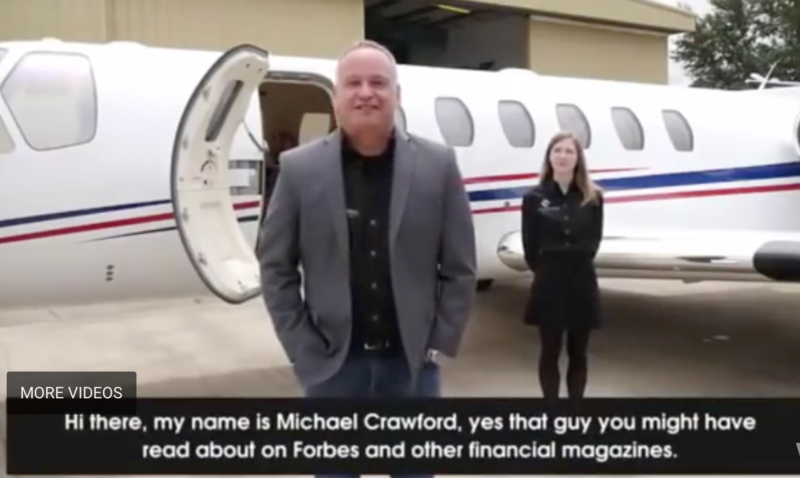 Everything that Michael Crawford tells you about himself in the video is a flat out lie. He is just a hired actor. The same can be said about Edward Robinson from the Orion Code video. Just a hired actor. Is the Quantum Code really free? No, not at all. In order to use the software, you will have to deposit a minimum of $200 into one of their stock broker accounts. “To trade with.” They don’t consider this a fee, but this is how they make their money. Avoid this program. Do not deposit any money into their stock broker accounts. You will never see that money again if you do. I don’t want to see anyone lose money to a online scam. I think the people that run these scams are true scum bags. They target people who are having financial difficulties and promise to turn their lives around by making them rich overnight. It’s actually pretty disgusting. Taking money from people who don’t have the money to spare. If you’re looking for a way to really make some money online, I recommend checking out Wealthy Affiliate. Wealthy Affiliate (WA) is NOT a get rich quick scheme. It is a program/community that teaches people how to create a profitable online business. I got started with WA because I hated my job, and I wanted to be able to enjoy life and spend more time with my children. I had zero experience when I started, but with the help and training I got from WA I was able to create a profitable online business and quit the job I hated. If you are interested in creating your own FREE WA membership, head HERE. If you would like to learn a bit more about WA, check out my full review HERE. Duplicate Dave Review – But Can You Really Duplicate Dave?